A cryptocurrency wallet is a secure digital wallet used to store, send and receive digital currencies. This is similar to a bank account and is represented by a public and private key that is unique to each user. These accounts are protected by secret phrases that should be stored too ensure future access to crypto funds or they will be lost. There are many different wallet solutions that support holding crypto currencies, some hardware and software with a variety of pros and cons for each. 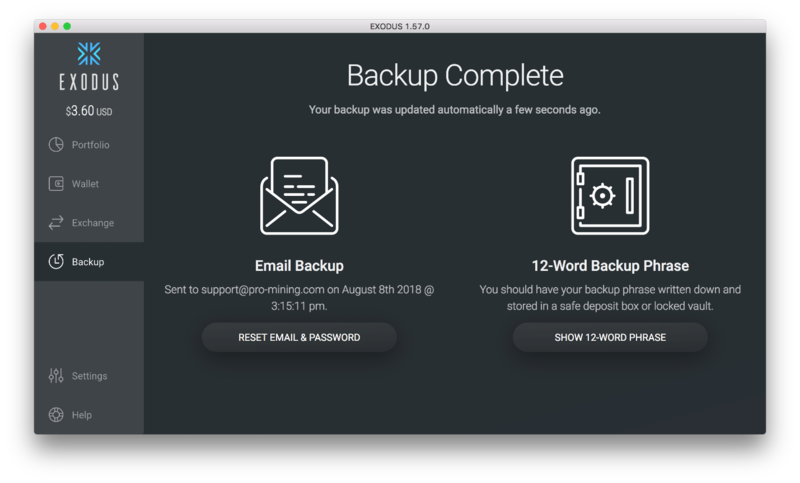 While ProMining does not endorse or support any of the following technologies this guide will help to create and backup user’s wallet for ProMining supported currencies. 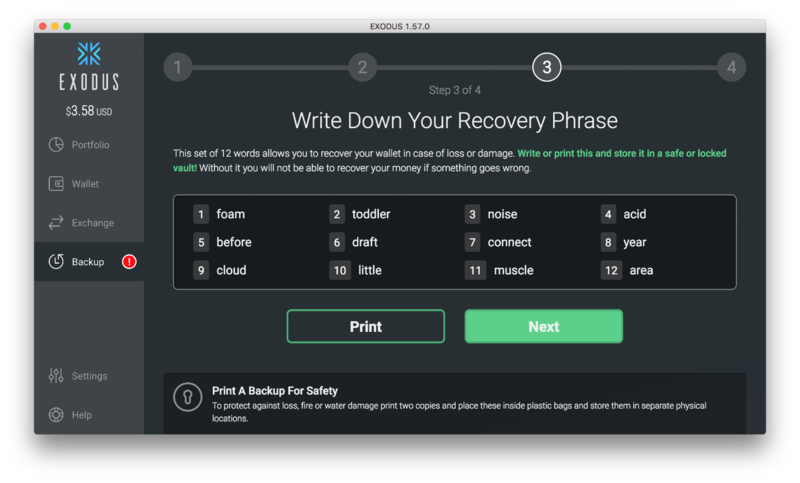 A wallet can be created on either a mobile device or desktop computer. Depending on individual preferences use the below guide. Coinomi is a free and easy to use cross-platform mobile application that has support for hundreds of different digital currencies, including most major cryptocurrencies and many altcoins. 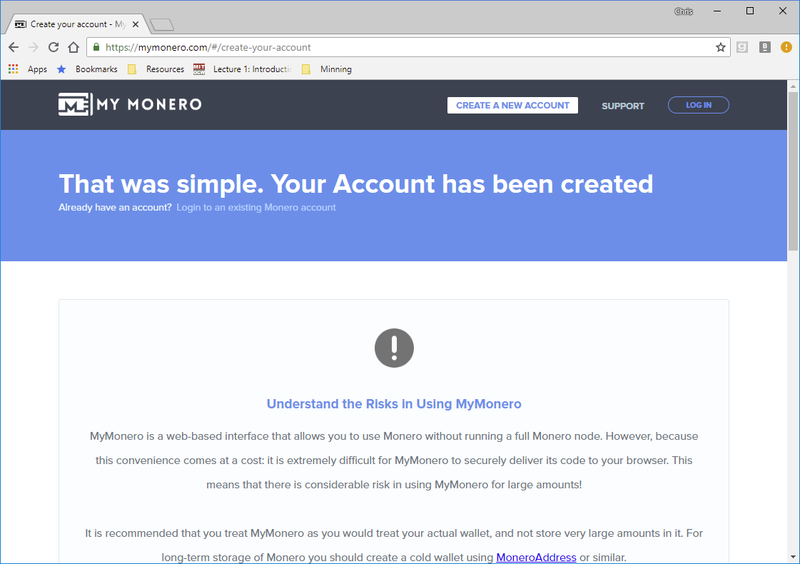 Currently Coinomi does not support Monero, see Monero (XMR) Cryptocurrency Wallet Setup if you will be mining Monero. Coinomi is free and uses in-app advertising to fund development and on-going support. For more information on Coinomi visit https://www.coinomi.com/. Coinomi Wallet is available for iOS and Android. The app can be downloaded on the iTunes Store or Google Play depending on your mobile device. To add additional coins to your account, select the top left menu and choose the + Coin option at the bottom. The format of Ethereum Wallet Addresses should start with 0x and should be followed by 40 numbers and letters, for example: 0x818e420ceEe6C9A8C1d3E0bCB2D73299dfFe1116. 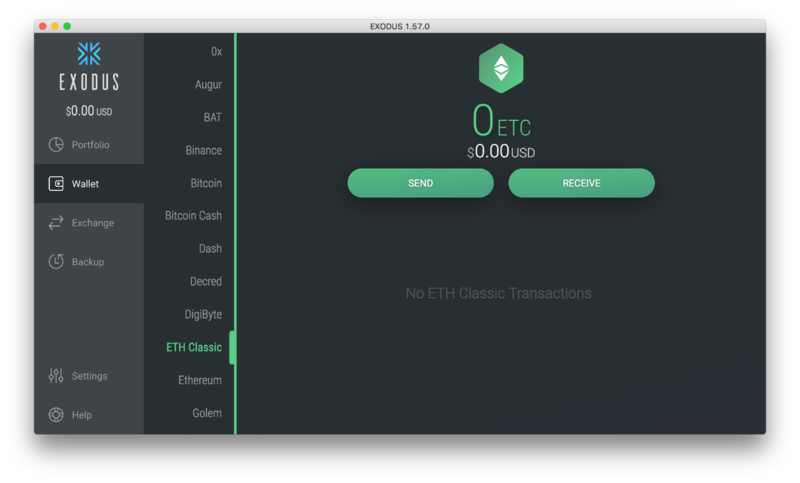 The format of Ethereum Classic Wallet Addresses should start with 0x and should be followed by 40 numbers and letters, for example: 0x818e420ceEe6C9A8C1d3E0bCB2D73299dfFe1116. For more information on BitcoinGold see https://bitcoingold.org/. For more information on Electroneum see https://www.electroneum.com. You can also create a wallet from Electroneum’s website. To create a wallet with Electroneum, you can visit https://my.electroneum.com/register and setup an account with your email address and phone number. On the main page of your account you will have a Public Wallet Address, select Click to Copy. Use this address to create your wallet profile in the ProMining Dashboard. Coinomi does not have support for Monero. 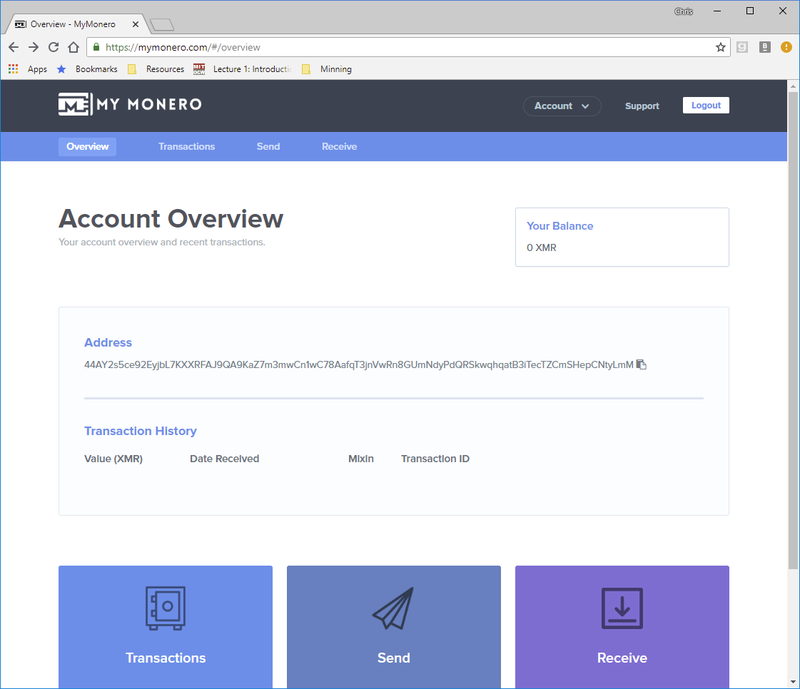 See Monero (XMR) Cryptocurrency Wallet Setup if mining Monero. 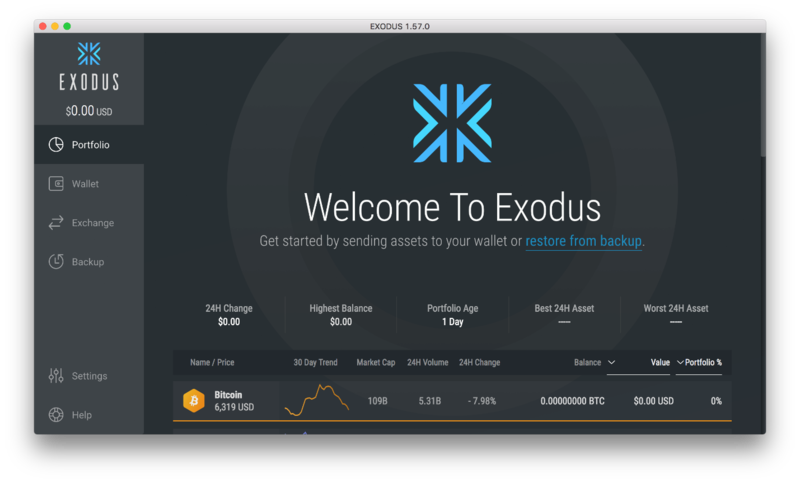 Exodus is a free and easy to use desktop application that has support for hundreds of different digital currencies. Currently Exodus does not support Monero or Electroneum, see the Coinomi mobile instructions if you will be mining Electroneum, see Monero (XMR) Cryptocurrency Wallet Setup if you will be mining Monero. 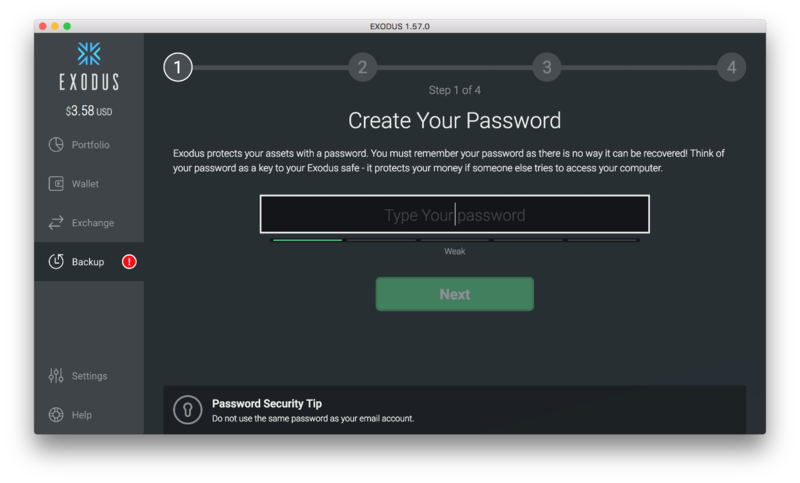 For more information on Exodus visit https://www.exodus.io/. 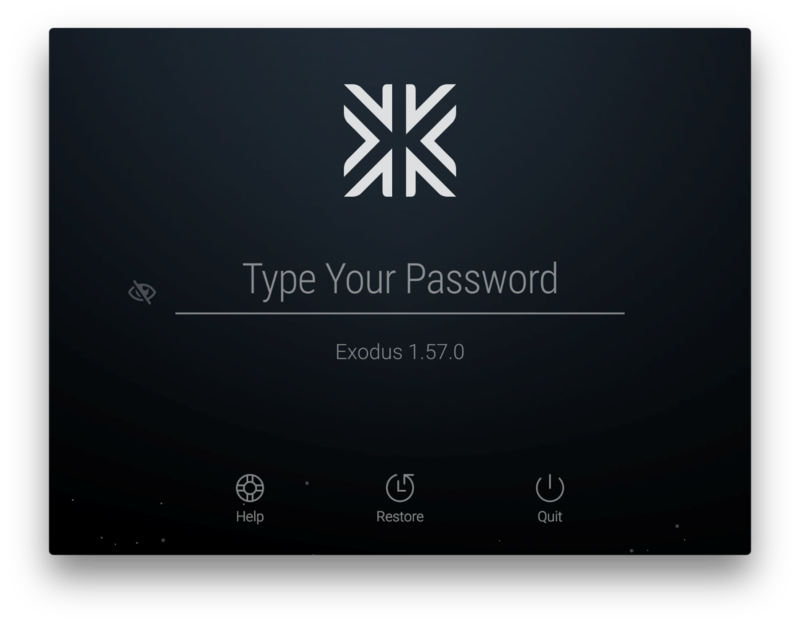 If you are having trouble with installing Exodus, see https://support.exodus.io/article/36-how-do-i-install-exodus for details. Note! 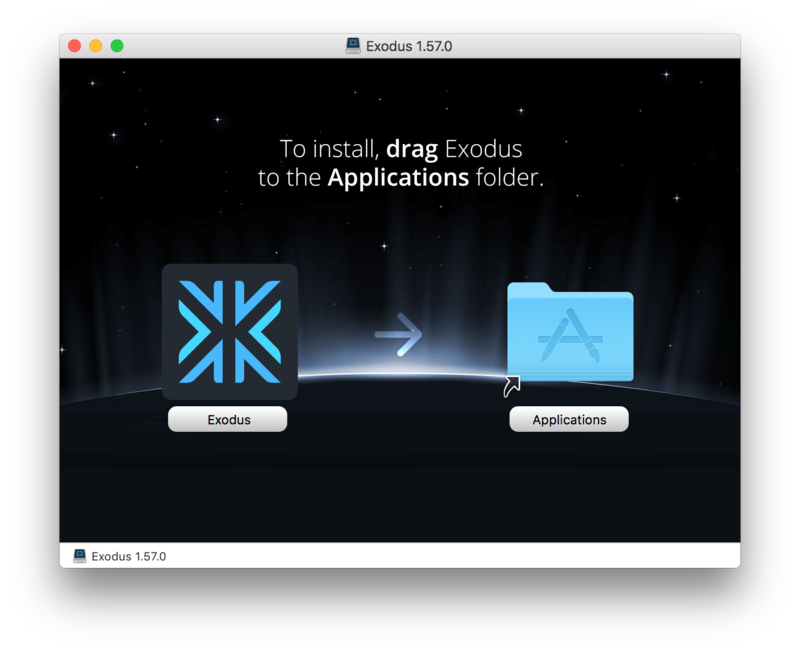 Exodus only runs on 64-bit systems. 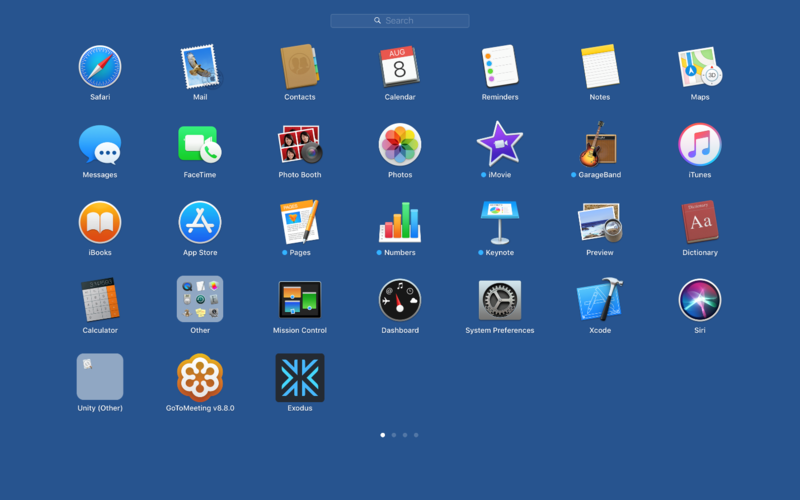 Find the application on your desktop or in the start menu. 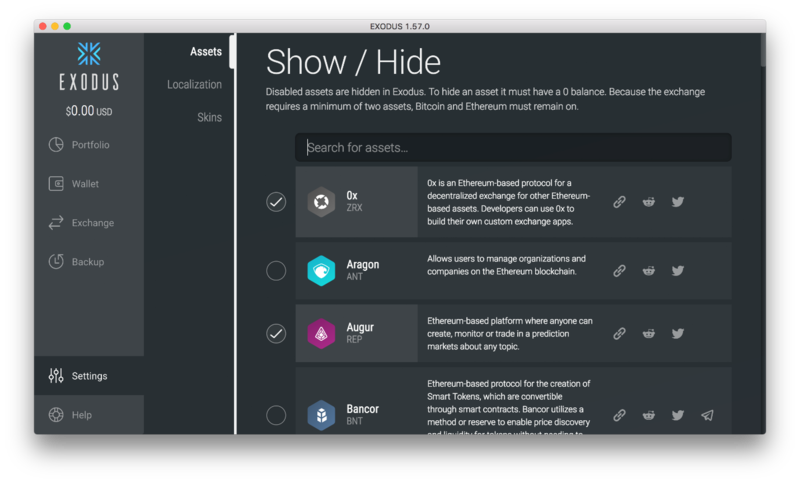 See Adding (Show/Hide) Currencies to Exodus to continue the setup process. From this screen you can toggle on and off which currencies you want to see in your portfolio. 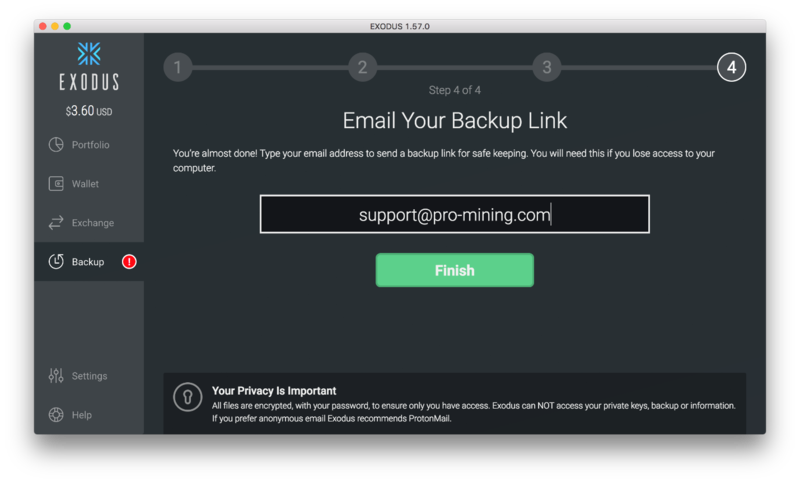 From this screen you can copy or email the wallet address, so it can be inserted into your wallet profile in the ProMining Dashboard. The format of Ethereum Wallet Addresses should start with 0x and should be followed by 40 numbers and letters, for example: 0x818e420ceEe6C9A8C1d3E0bCB2D73299dfFe1116. From this screen you can copy or email the wallet address, so it can be inserted into your wallet profile in the ProMining Dashboard. 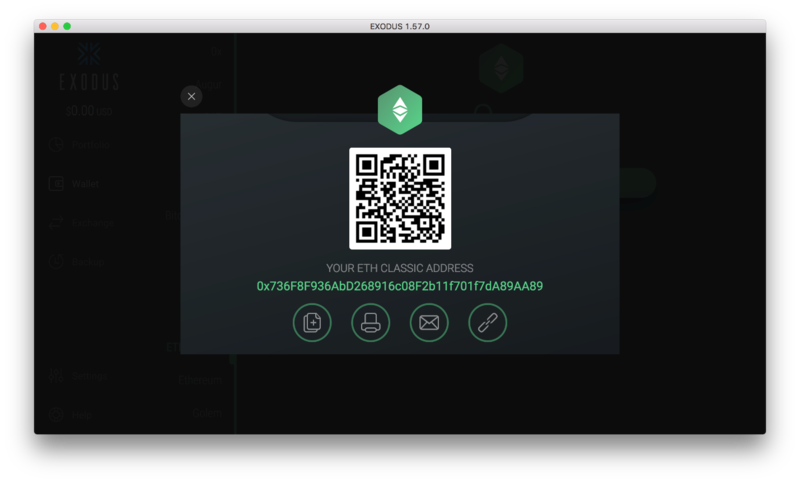 The format of Ethereum Classic Wallet Addresses should start with 0x and should be followed by 40 numbers and letters, for example: 0x818e420ceEe6C9A8C1d3E0bCB2D73299dfFe1116. From this screen you can copy or email the wallet address, so it can be inserted into your wallet profile in the ProMining Dashboard. The format of Zcash Wallet Addresses should start with a t is a 36 characters long string beginning with t, for example: t1UYecKRKgyJ46RSNJDz8yNCziFSiKJtqQH. For more information on Zcash see https://z.cash/support/faq.html. 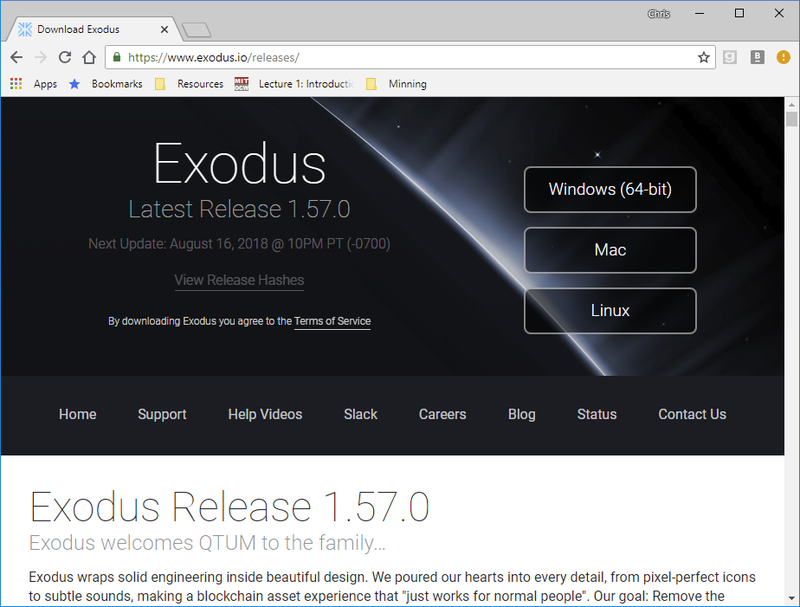 Exodus does not have support for Electroneum. See mobile installation instructions if mining Electroneum. Exodus does not have support for Monero. See Monero (XMR) Cryptocurrency Wallet Setup if mining Monero. The private key being displayed in the web browser is specific to you. 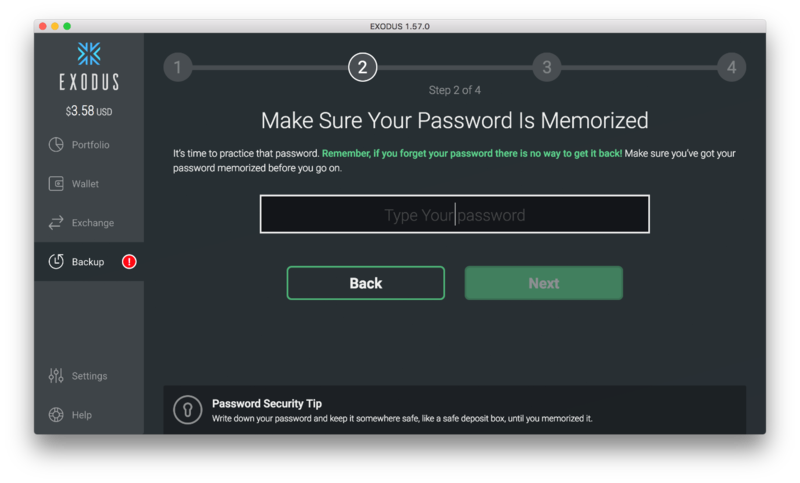 You must back this key up in order to maintain access to your Monero account. Do not share or send this information digitally to anyone. This is the keys to your account. Enter the key into the Confirm your Private Login Key text box and select I’ve written down my Private Login Key, log me in! 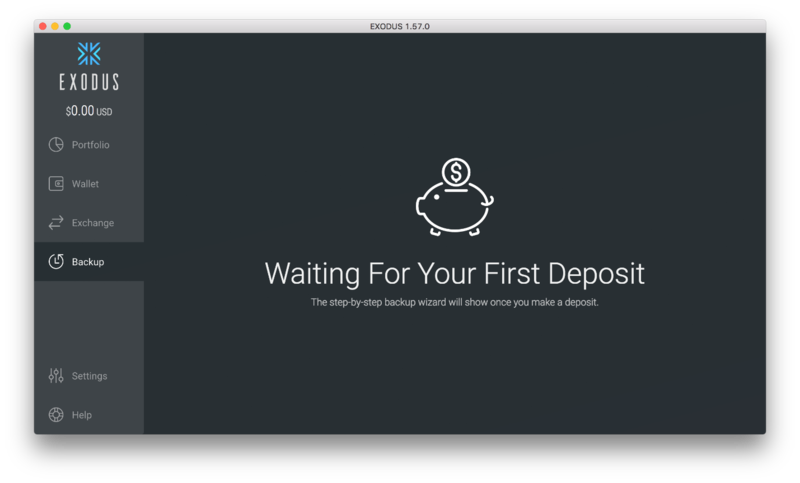 From this screen you can copy the wallet address by clicking on the clipboard icon. It can then be inserted into your wallet profile in the ProMining Dashboard. The format of Monero Wallet Addresses should be 95 characters long string, for example: 44AY2s5ce92EyjbL7KXXRFAJ9QA9KaZ7m3mwCn1wC78AafqT3jnVwRn8GUmNdyPdQRSkwqhqatB3iTecTZCmSHepCNtyLmM.